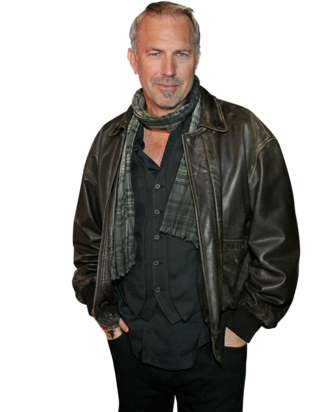 When it comes to historical dramas, Kevin Costner has never met a bearded guy he didn’t like. This time, the man who brought us Dances With Wolves is taking on the infamous and bloody centuries-old feud between the Hatfields of West Virginia and the McCoys of Kentucky. In the six-hour History Channel miniseries Hatfields and McCoys, premiering on May 28, Costner plays “Devil” Anse Hatfield, the family leader who went from being Civil War buddies with God-fearing Randall McCoy (Bill Paxton), to being his enemy. And apparently it was all over a stolen pig. Vulture spoke with Costner about diving into TV, what he knew about the feud going in, and how it’s relevant to the world today. Since you’re a history buff, how much did you know about the Hatfields and McCoys before you took this project on? I knew probably more than the average bear going into it. I certainly didn’t do a thesis on it, and I couldn’t claim to know it the way some people did, but I had a pretty good working knowledge of them and that obviously increased when I read this script and then I started to do more research associated with it. The script was a pretty good document. It goes down a lot of rabbit holes, if you will, with other characters, and I like that. It seems like a stolen pig isn’t worth starting a feud over, but I guess in those times it could have fed a whole family. It’s a very big deal, and you know, it’s easy to laugh at people with beards and funny accents and hats that look odd. [But] what you had is a lot of unemployment, you had a lot of listless people, and you had the hard feelings that came out of the Civil War. So basically, you have two guys, both probably dealing with post-traumatic stress, how they both deal with it is different. One gets very industrious; it doesn’t mean he doesn’t have nightmares. McCoy, you know, probably didn’t do as well, old-fashioned jealousy starts to seep in, and so what do they do? They drink, they hang out, and they get angry. I think what might strike people is that this is not folklore; this is a real, American tragedy, a blood feud on a scale that has become an iconic nomenclature of American language. And it was, for instance, when he kills McCoy, not a cousin, a real McCoy [laughs]. It’s interesting to deal with that level of violence, that crudeness. Got myself a real McCoy, not a cousin or an uncle, and you think, Oh my God. But I think what would be interesting to tell people is that this is going on every day; it’s going on in Libya, it’s going on in Croatia, Serbia. It will go on in Iraq and Afghanistan; there will be blood feuds there based on what happened to families. Right, it’s not an 1800s thing, it’s a today thing too. It’s a total today thing and those people will live with that, they’ll live with these middle-of-the-night killings for the next 50, 60 years in these countries, just like it was for us in the Civil War. You and your band, Modern West, scored the movie, right? We wrote the theme song for the movie and then we did a concept album that spoke to the whole time of Appalachia called Famous for Killing Each Other, and that will come out about a week before the movie comes out. So if you like music, I think you’ll really like it. Is it all roots-type music? It’s not all bluegrass music; it’s all themed around the Hatfields and the McCoys. Just because I was doing the movie, I started to really absorb the violence, and the whole record is about the concept of the [families]. Were there any misgivings that this was a TV project? I had no misgivings. I knew exactly what I was stepping into; I felt armed with the story. You know what I mean? How about shooting in Romania? That was harder, that was a big question. See, I kind of jumped before I leapt; I didn’t really look how deep the water was, you know, I had already said yes and now it’s gonna shoot in Romania? What was the biggest challenge there? We had no perks over there. Now, when I say “perks,” it’s not like I’m looking for them. What I’m talking about is production-wise. We couldn’t have all the extras we wanted, we didn’t have all the bells and whistles when it came to steadycam, we didn’t have the kind of budget that is going to substantiate a lot of CG — things that could enhance the production value. We really had to be creative. Is this going to be the first of many TV projects? I have an eight-hour Western that I’ve been working on a long time that’s pretty good. I gotta just make sure we have a lot of bells and whistles; it’s just too hard to be out there. And I just gotta make sure it’s in America.